Literally located in the shadow of Mt. Washington, Wildcat Mountain has long been a New England skiing destination. Wildcat features a direct, fast quad chairlift that serves virtually all of its terrain. Dodge competed in the 1952 and 1956 Olympics. Multiple areas have fired up snowmaking and plan to open soon. Many ski areas will be open with top to bottom skiing. Snowmaking operations are expected in three states tonight. The bad winter, debt spending, and EB-5 woes have left the company with little cash. 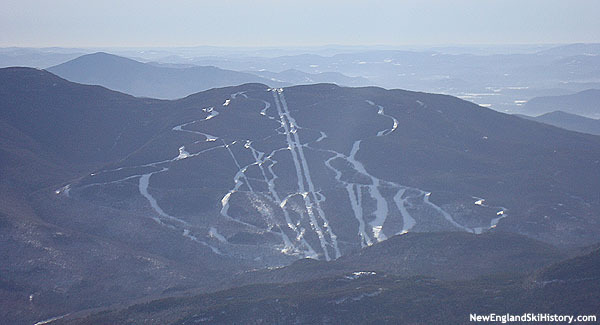 Ski area operator is facing mounting debt and EB-5 issues. Layoffs, furloughs, and other cost cutting measures have been enacted. Mount Snow West Lake project may not be completed in 2016. Q3 results reflect first half of winter season at Attitash, Crotched, Mount Snow, and Wildcat. Olympian and ski philanthropist co-founded Wildcat.